Last week I talked about the value of an applicant so this week I want to continue that conversation up the channel and identify items on a website that also have value tied to this process. Let’s be honest the first thing that every school just like any other business has to understand is that nobody cares about your product and services (except you). With this in mind it’s also important to remember that 75% of people that visit any business website are simply looking for information. They aren’t ready to make a purchase today. Well the same rules apply for a college or university website. The idea of a marketing funnel is not a new concept. The first purchasing funnels were created over 100 years ago. What you need to understand is that not every visitor to your website will ever make the decision to apply to your school and become a student. This is ok. We know that the student is the bottom of the funnel so the more you can open it up to capture more interest the better you will be. This is one of the reasons things like search engine optimization (SEO) are so valuable because it means that more people will be on your website. It’s also why web analytics is important as this helps you understand visitor behavior and track their progress down the funnel. The whole point is you need to figure out what are the valuable assets and how they lead towards an application. 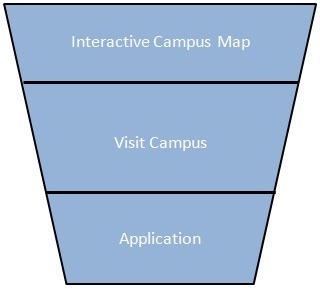 Now that we understand the funnel let’s look at a specific example around something that I’m personally passionate about, the interactive campus map. For this example I’m going to work backwards a little. 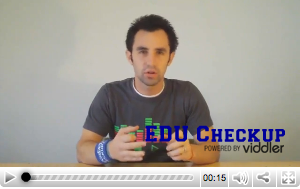 We know that the ultimate goal is to get students to apply to your institution. Most admission counselors will tell you that one of the most valuable activities to help a student make the decision to apply is to actually visit the campus. Even the USA Today instructs students to take virtual tours of schools before deciding on which institutions to actually visit. Knowing that virtual tours are so valuable, this becomes something of real importance to have a good tour on your website. 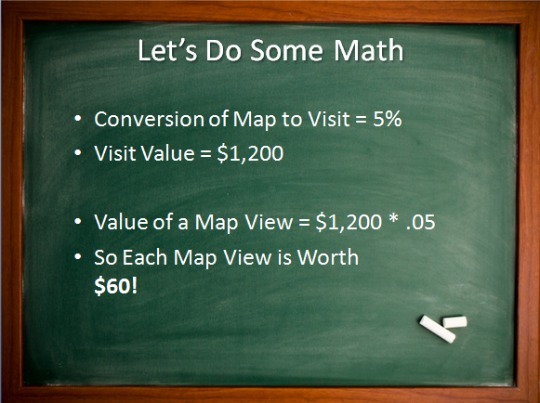 So like last week, I’m going to look at a couple conversion opportunities to compute what is the value of a map. Picking up from the same example as last week we know that each applicant is worth $6,000 per year. Let’s say that 20% of students that visit your campus actually apply. Well knowing this we can compute how much each campus visit is worth. Now let’s say that 5% of people who view an interactive campus map or virtual tour on your website are prospective students and come visit your campus. You do the math and guess if you had this feature on your website how many prospective students would view it in a month. Naturally this is once again an oversimplification, but hopefully you get the point. 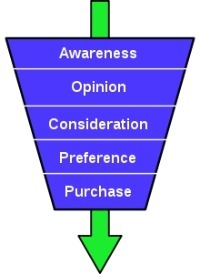 Understanding your marketing funnel and the conversion opportunities associated with it are VITAL to being able to compute an ROI for web activities. You simply need to figure out what you care about and how that path leads to financial dollars. That is great and valuable. Kyle, this is a good explanation and very helpful! 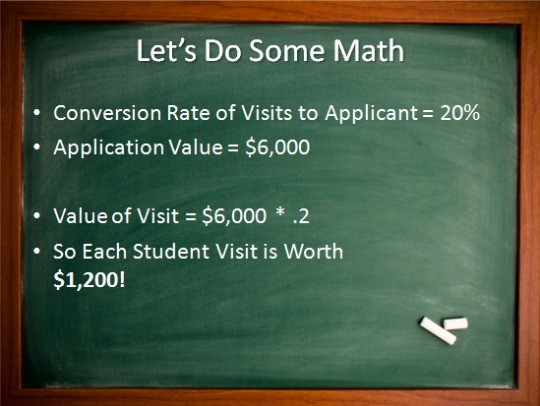 It seems relatively easy to get the first multiplier (the fraction of students visiting campus who actually apply) in this funnel — from Admissions Office, perhaps — but how are you determining the second figure (fraction of users viewing a virtual tour or campus map that end up visiting campus)? Are you just asking people on tours whether they took a virtual tour first? @Glenn - If you have web analytics like Google Analytics installed properly then you can find out something like the conversion percent on a form. I’d also say yes you should ask people that actually tour campus if they viewed your online interactive map. I’m sure every student has to fill out some sort of information to visit campus and take a tour right? This is a pretty simple checkbox on the form or quick question when they are touring. This is a very useful article. Now I understand more the importance of marketing funnels for a business profitability.